Getting ideas or projects approved and securing the resources needed to implement them is one of the greatest challenges business leaders face. 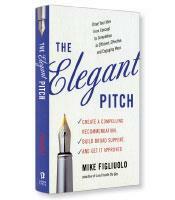 In The Elegant Pitch, Mike Figliuolo provides a simple, proven process to go from idea to approval more quickly and effectively than ever before. Mastering the process can ensure clearer and more compelling recommendations and ideas, shorter and crisper communications, greater efficiency, shorter and fewer meetings, efficient decision-making processes, and a higher likelihood of getting your recommendations approved. The Elegant Pitch is a tutorial on how to get recommendations accepted by making presentations that tell decision-makers everything they need to know — not everything you know. This may seem obvious, and yet most people never make the distinction, Figliuolo writes. Instead of carefully parsing down their presentations to the most salient and compelling points, they try to include every single supporting point, hoping that the cumulative weight of the argument will carry the day. The typical process for developing a recommendation, writes Figliuolo, follows four steps: 1) gather large amounts of data and do excessive amounts of analysis; 2) identify insights from this excessive analysis; 3) assemble all of the analysis into a comprehensive 30- to 60-page document to show the rigor of the analysis; 4) present this tome in a two-hour meeting, impressing decision-makers with the depth of the insights. Does it work? Not usually, writes Figliuolo. Define the Question.What is the problem and why does it need to be solved? Absolute clarity is essential. Create a Core Idea.This is the heart of the recommendation — the action you want to take and the reason you want to take it. At this time, the core idea is a hypothesis of what the recommendation would be and why the audience (the decision-maker) would want to accept the recommendation. Build the Architecture.Arrange your facts and analyses in a logically structured argument. Create the Story.Transform the structure in the previous step into a simple narrative that leads the audience to your conclusion. Discuss and Refine the Story.Go to other people with your story, get their feedback and refine the story based on this feedback. Select Core Facts and Analyses.Don’t accumulate every fact you can get your hands on. Be selective: Find the right facts and analyses you need to support your architecture. Prove or Disprove the Hypothesis.Your original hypothesis might be wrong. You’ve pulled together facts and analyses. Now analyze this material, focusing only on the analysis you need to do to prove or disprove the hypothesis. Finalize the Communication.How will you make the recommendation? Whether it’s a presentation, a memo or simply an email, your recommendation is basically written. All you have to do is assemble your material. Share the Idea.Paying careful attention to how decision-makers prefer to receive information (e.g., slides, memo, email), share the assembled presentation. It may seem that this process is backwards: You hypothesize what your recommendation will be and then try to prove it. 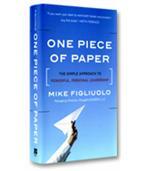 In fact, Figliuolo writes, the structured thought process is a simplified version of the scientific method we all learned in school: Start with a line of inquiry, make a hypothesis, conduct an experiment and collect data, determine if the hypothesis is proven or disproven, and share the lab report. 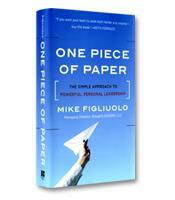 Figliuolo brings to his process years of real-world experience as a former McKinsey consultant, former Capital One executive and current consultant to blue-chip companies. Filled with real-world tools and methodologies, The Elegant Pitch (the title comes from the positive feedback he received to one of his presentations) is a valuable primer for convincing impatient decision-makers. Receive our latest book reviews in your inbox each month. Your browser does not support iframes, please view the signup form.